Culture 15 Maps that Will Change the Way You Look at the U.S.
15 Maps that Will Change the Way You Look at the U.S.
Can you name the most popular actor from your state, or distinguish the five geographical regions that make up America? If you’re a little rusty on your United States knowledge, these 15 maps really put everything in perspective. 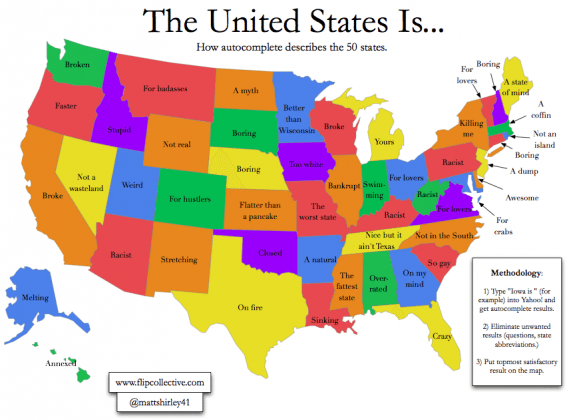 This map classifies states according to each state’s most popular Google autcomplete result.